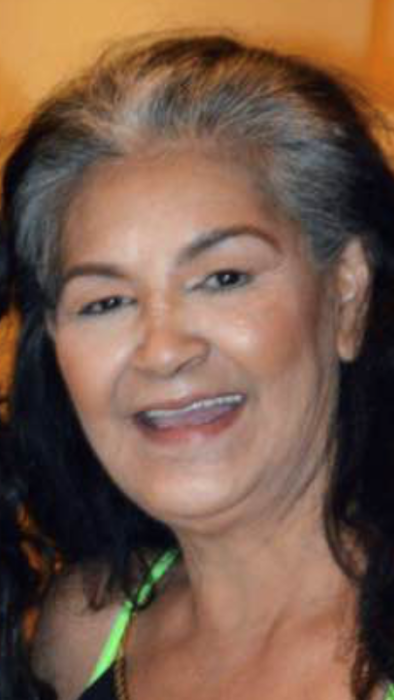 Mrs. Diana (Garcia) Murphy of Millington, Michigan passed away early Friday afternoon March 29, 2019, at the age of 59. Diana was the daughter of the late Fransisco and Anita (Gonzales) Garcia and was born in Deckerville, Michigan on July 31, 1959. On July 3, 2004 Diana married Michael (Mike) Murphy and together they have celebrated fifteen years of marriage. Diana loved spending time traveling around to yard sales, and hunting for the deals, or finding the best deal. She also loved gardening and dancing, and most of all spending time with family. Diana leaves to cherish her memory, her husband Mike. She leaves also two children; Courtnie Roumayah – Bonk (Jeff), and Michael Roumayah. She leaves her three grandchildren; Madison, Eva, and Asia. Her siblings; Merta, Hilda, Tina, Jesusa, Mernia, Poncha, Janie, Roy, Jose, Eddie, Pie, and Rudy, former husband and friend; Dan Roumayah; many nieces, nephews, extended family; mother in-law, Mrs. Gayle Murphy, sister in-law Amy Collins, brother in-law, Steve (Brenda) Murphy, and many friends. Besides her parents Diana is also preceded in death by two daughters Asia Drake, and Mariah.